This year the Mardi Gras theme is Biosphere Island! Each organisation entering has been teamed up with another Island organisation to learn about our Biosphere Island. Equals IW will be joining with the Hampshire & Isle of Wight Wildlife Trust. 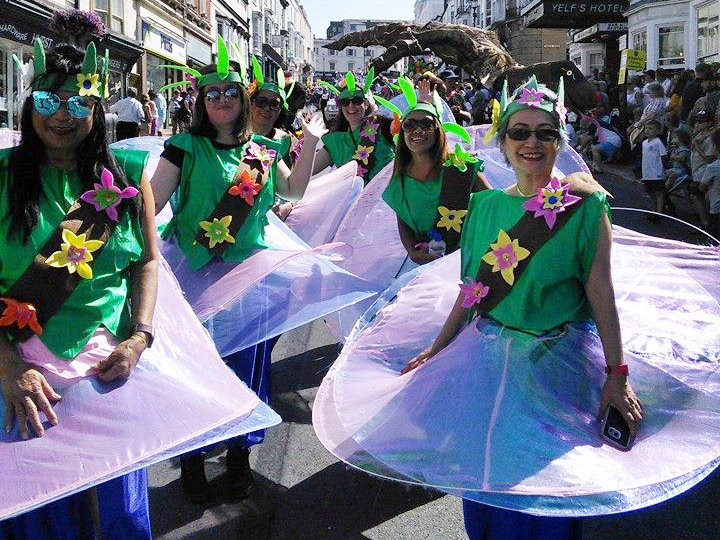 The section of the parade Equals IW will be part off is to be called "Forestry and Woodland" and the entry will reflect Bouldnor Forest. Equals IW is recruiting now for the Mardi Gras Equals IW entry and as a start the Equals IW team met at Bouldnor Forest on the 2nd and 9th April 2019.
all supporting the diverse wildlife. 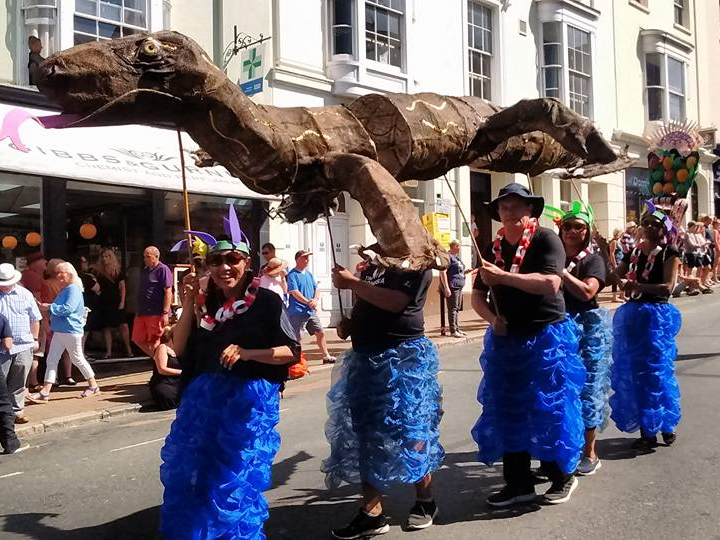 If you would like a new exciting challenge for 2019 then come and join the Equals IW Committee. 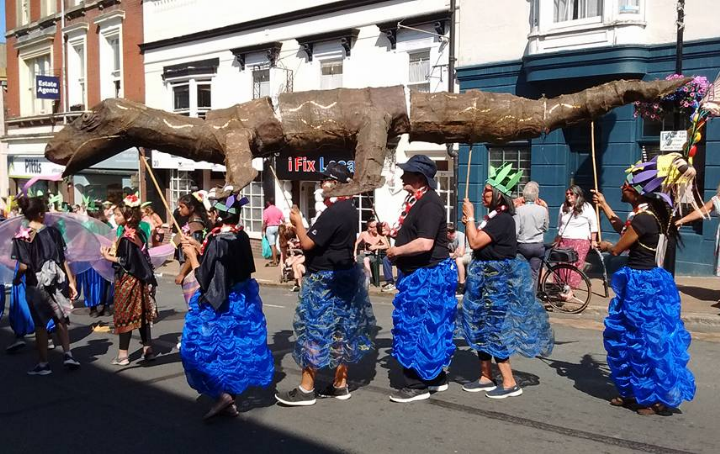 Secretary – work includes typing committee minutes, organising committee meetings, taking meeting minutes, organising meeting venues, replying to Website and Facebook enquiries, sending official correspondence on behalf of Equals IW. Press Secretary – work includes promoting Equals IW's local meetings, activities and events in the local press, local magazine publications, online and on the local radio. Also prepare and issue statements about relevant affairs on behalf of Equals IW. Grants and Funding Co-ordinators – to work in a team to seek out and propose funding sources and make funding applications. Education and Training Co-ordinators – to work in a team to promote equality and diversity in the community and the work of Equals IW. Deliver awareness training of equality and diversity, facilitate and deliver talks and presentations on equality and diversity in the community. Delivery of formal and informal programmes involving equality and diversity activities to schools, colleges, community groups, adult learners and staff associated with businesses. Fundraising Co-ordinators – work in a team to plan, organise, facilitate and run fund raising activities and events for Equals IW. Equals Development Co-ordinators – work in a team to develop new opportunities for Equals IW, develop partnership working opportunities, identify, suggest and co-ordinate events for Equals IW to be involved in. To find out more contact us or visit our Facebook page. You can download and display our flyer. 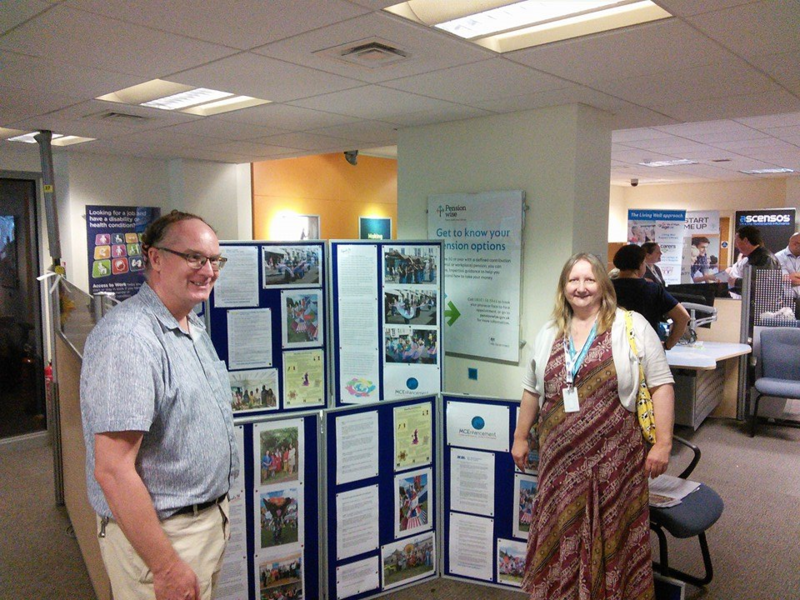 Equals IW joined local providers at the first Provider Fair held at the Ryde Jobcentre Plus. Equals IW prepared a stand in partnership with MCEnhancement Training and Development and the Prison Officers Association (POA). Around 12 other local organisations were present. The aim was for Jobcentre Work Coaches to visit stands learning about the organisations and the range of people those organisations support. The Jobcentre Plus Coaches could then signpost people they are supporting to the relevant organisations. as well as common problems associated with being unemployed and out of work. The Provider Fair also let those seeking support from Jobcentre Plus Services engage positively with the appropriate local organisations. 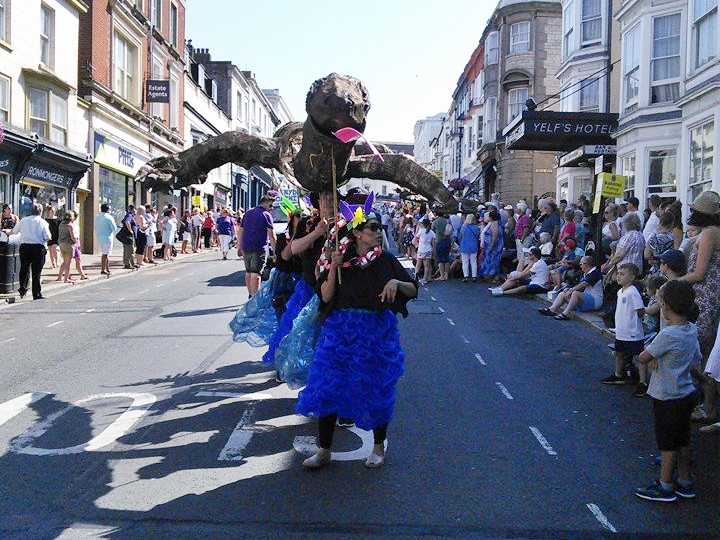 The Isle of Wight Mardi Gras is a wonderful themed parade and was held this year on Saturday 30th June 2018. This year the theme was Global Biospheres in support of the Island's bid to become a designated UNESCO Biosphere Reserve. 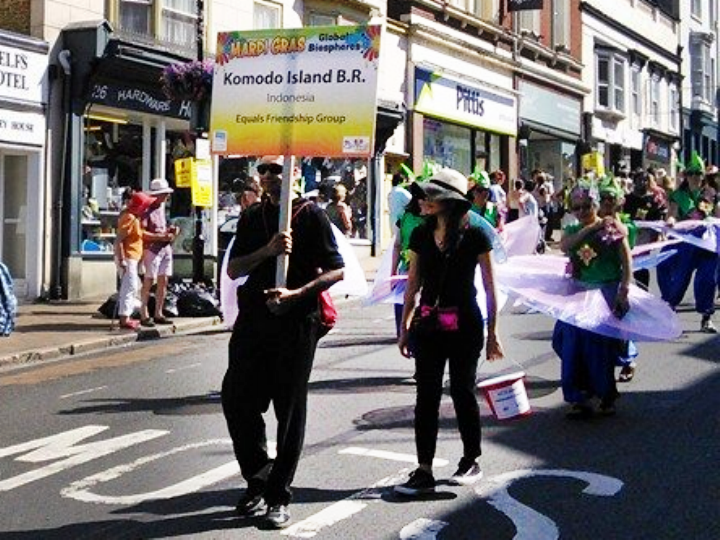 Equals IW was represented through the work of the Equals IW Women’s Friendship Group with their entry themed around Komodo Island, Indonesia. 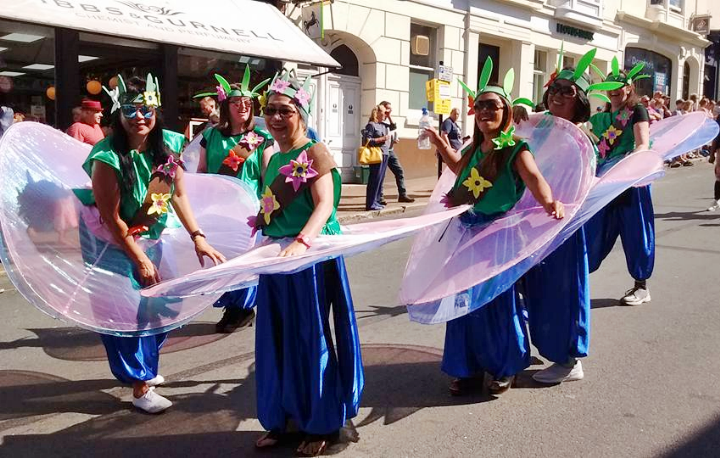 The very colourful parade brought joy to those watching in the streets of Ryde as the town basked in summer sunshine. 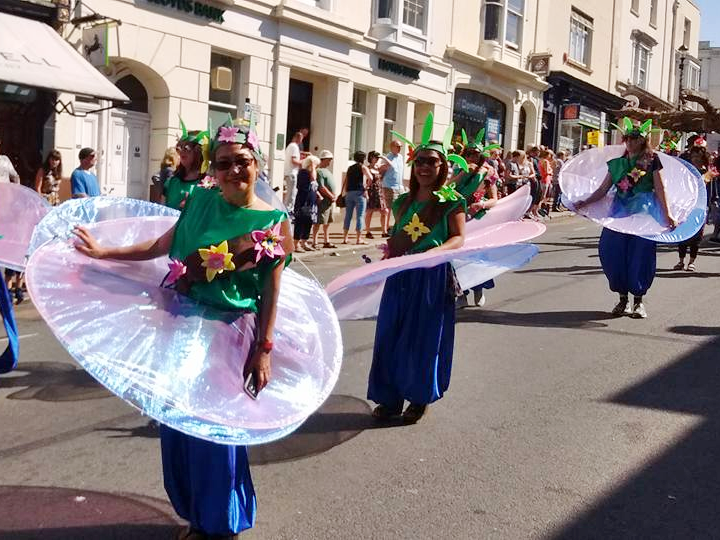 The event was a collaboration between Island-based event organisers, the New Carnival Company and the IW Area of Outstanding Beauty Unit. 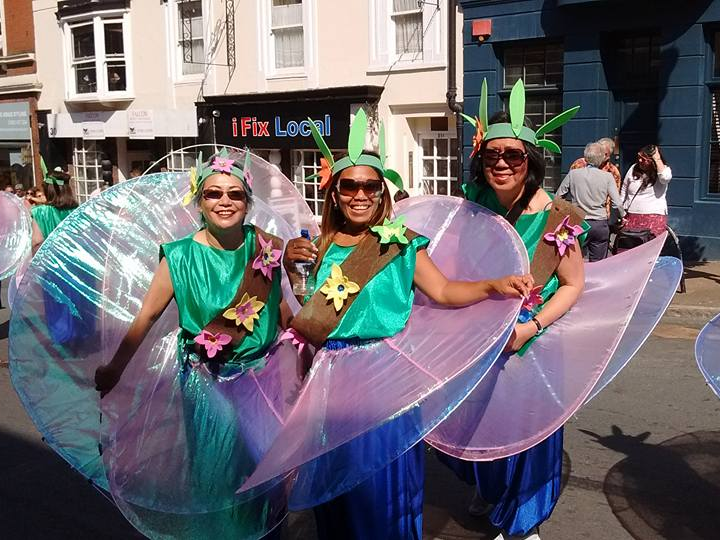 As part of the aim to support equality and diversity on the Isle of Wight, Equals offers friendship groups for women and men of ethnic backgrounds. For a real cultural diversity experience have a look at the current programme of events then come and join our women's group. Our men's group is currently starting up with meetings in Newport. So why not pop along to one of our groups and see what we are up to, we would love to meet you. To find out more please contact Equals.